I'm Isaac Cooper founder of BlamCo® a nonprofit Youtube channel... ehem! Nonprofit because the evil corporation of Mumm Ra, the ever-living is either pulling them or cashing in with his ads to finance his army of mutants. Didn't George W. Bush sign "The Parody Act" to prevent this sort of thing? This year our dream is to make BlamCo® a staple in the Youtube community. We're reaching out to the fans to help BlamCo® (the good guys) get the legs it needs on our journey to be self sustained. So we can keep coming up with quality videos you love and enjoy. 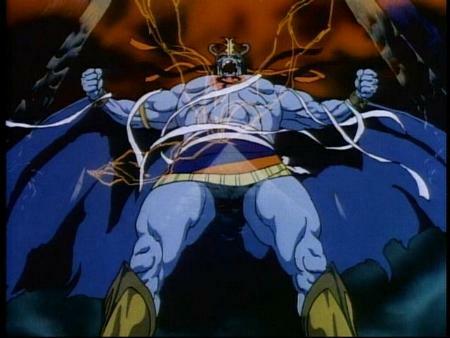 Don't let penny pinching Mumm Ra steal parody money and let's help BlamCo® with the financial backing it needs to make this vision a reality. Join the BlamCo® team and together we can fight Mumm Ra and his evil mutants! Patron Credit: Have millions of people see your name in the scrolling credits! I reserve the right to add names that I find exploitative/spam/trolling at my discretion. Key Patron Credit: Have millions of people see your name in the scrolling credits! I reserve the right to add names that I find exploitative/spam/trolling at my discretion. Super Patron Credit: Have millions of people see your name in the scrolling credits! I reserve the right to add names that I find exploitative/spam/trolling at my discretion.